1. Iran has not waged an aggressive war against another country since the 1700’s. Iran is one of the few Middle East countries, unlike our own allies, Israel and Saudi Arabia, who has not launched a war of aggression in centuries. 2. Iran is not seeking nuclear weapons. Now this one is a bit controversial, but indulge me. 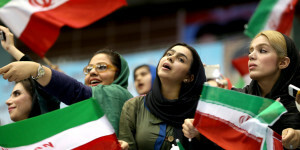 Iran has stated over and over again that its interest in nuclear development is purely civil and even its highest leader has passed an edict banning nuclear weapons. The controversy about Iran obtaining nuclear capabilities is over the possibility that it might lead to weapons. The intelligence is talking in hypotheticals, not in regards to the on the ground policy in Iran itself. 3. Iran is a key player against ISIL/ISIS. Despite our unwillingness to coordinate with Iran against the insurgency of ISIS, they have been instrumental in dealing with the threat. Not only did they mobilize against the group long before the US started its bombardment, but they have also provided essential support to the Iraqi fighters battling against ISIS. Additionally, it was Iran that brokered a political deal with the Iraqi government to help ease tensions caused by former PM Maliki. 4. People have the freedom to vote in Iran. This one surprises most Americans, as if voting is a uniquely American invention and to say otherwise is blasphemy. There is an enduring myth that Iran does not have democracy, when in actuality it does. In Iran, everyone has the right to vote and even minorities like Iranian Jews have representation in parliament. Again this is a rarity in the Middle East even with our key allies. In fairness, the democracy of Iran does have to contend with a theocratic state, but hey, it’s something. 5. Obama is not taking it easy on Iran. Contrary to popular belief, Obama’s policy towards Iran isn’t to play softball, or whatever the sports metaphor is. He isn’t for giving Iran a free pass or somehow easing up pressure on the country. Instead, he’s open to negotiations with Iran, as he should be. Iran is an important player in the Middle East and past aggression towards them has been far from helpful in resolving anything. We seem to forget that we have alternative tools at our disposal other than bombs and bullets. It may be radical, but I for one think diplomacy–you know that thing you do where you sit down with people you disagree with to talk it over–may actually be useful here. American policy towards Iran is outdated. Our commitment to special interest lobbyists and our fractious domestic politics has yolked us to Cold War-era foreign policy when it comes to this country. We continue to regurgitate the same myths about the country which has shaped popular perception and kept us from making any progress with a potential ally in the region. This is plain stupid. We did the same thing with Cuba, but after many years have finally taken important steps towards fixing our relationship. It is time we do the same with Iran. A new approach is needed. It’s about time for us to update our policy and outlook on Iran.